It seems like this year has flown by quickly. It’s June already, and it’s time to start thinking about warmer weather in the U.S. – and maybe flowers for those of you who have June weddings coming up. We recently wrote about some flower ideas that are perfect for late-spring nuptials, but since there are so many blooms that can potentially add beauty to a casual or formal wedding, we thought we’d offer more suggestions. If you’re running off to tie the knot this June and need flowers, or if you’ve planned your wedding for a while, but left flower arranging until the end, consider the following blossoms that are usually readily available this month. 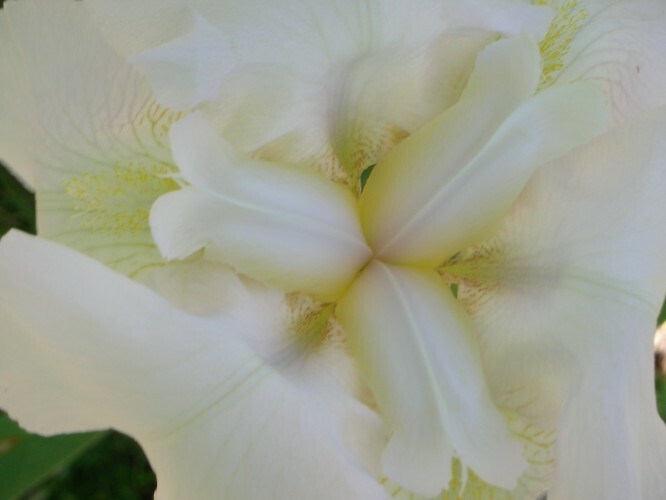 The iris is an extremely large and diverse genus of flower, with nearly 300 species to choose from and thousands of cultivars in a variety of colors from the rainbow. Irises are super easy to grow, so think about planting them now for use next June. But, if you need them immediately, simply contact your local garden center or search online. The most common types of irises you’ll find are Siberian and Japanese varietals. If you want to get creative with your flowers, go with wisteria. Wisteria grow on large, deciduous vines and they come in stunning, drooping flower clusters that can provide a perfect backdrop for showy flowers like orchids. They can also be the stars of the presentation, if you want them to. Wisteria are elegant, easy to care for, and affordable. The good old rose. A go-to, and fall-back, flower for many, but one that certainly shouldn’t be considered just a run-of-the-mill or typical bloom. The rose is the ultimate floral symbol of love, so give serious thought to using it as part of your June wedding floral display. Roses are ideal for wedding bouquets, boutonnieres, and arrangements because they come in many colors, sizes, and shapes. In addition to these popular June flowers, you can incorporate peonies, lupine, elderberry, bottlebrush, sweetspire, and hydrangea in the flower plan for your wedding. It seems like this year has flown by quickly. It’s June already, and it’s time to start thinking about warmer weather in the U.S. - and maybe flowers for those of you who have June weddings coming up. We recently wrote about some flower ideas that are perfect for late-spring nuptials, but since there are so many blooms that can potentially add beauty to a casual or formal wedding, we thought we’d offer more suggestions.